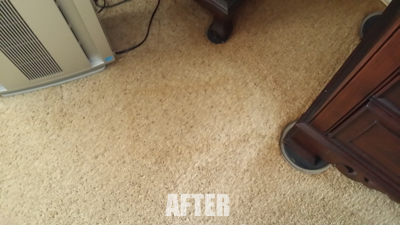 This Tampa FL home owner wanted this square carpet stain removed. This stain developed around the base of her air filtration machine. She didn’t move the machine for several months and the end result was a rectangular outline of the air filtration machine. This is known as a filtration line stain. It happens when dirty air is forced through carpeting and dirt gets filtered out leaving a thin stain along the edges. This is more common where carpeting meets a wall or on the edge of stair steps. 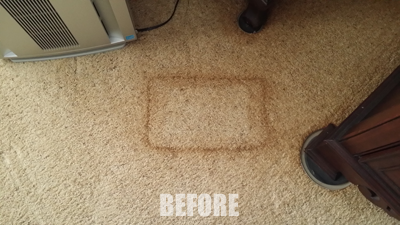 The good news is that this type of carpet stain can be removed with Chem-Dry’s Filtration Line Remover. Call Chem-Dry of Tampa FL to remove your carpet stains.